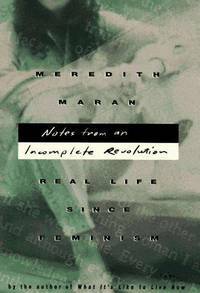 Home > Black Cat Hill Books > Notes From an Incomplete Revolution: Real Life Since Feminism. Notes From an Incomplete Revolution: Real Life Since Feminism. New York, NY Bantam Books, 1997. 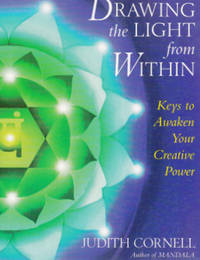 Hardcover First Ed; First Printing indicated. INSCRIBED AND SIGNED BY AUTHOR. First Ed; First Printing indicated. 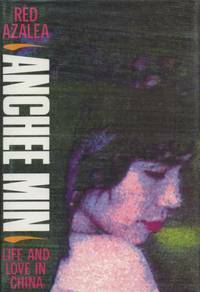 Very Good+ in Near Fine DJ: Both book and DJ show only minute indications of use. Book shows shows a couple of stains at front free endpaper. Binding square and secure; text clean. DJ shows very mild rubbing to sheen; former bookseller's 'Autographed' sticker at front face; price intact; mylar-protected. Overall, very close to 'As New'. 8vo. 256pp. Hardback with DJ. INSCRIBED AND SIGNED BY AUTHOR. Title: Notes From an Incomplete Revolution: Real Life Since Feminism. 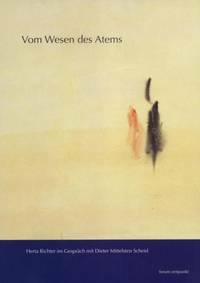 Edition: First Ed; First Printing indicated. 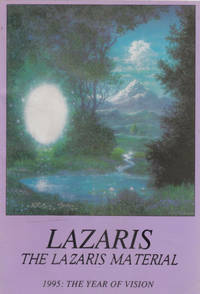 Lazaris: 1995: The Year of Vision [The Lazaris Material]. Herta Richter im Gespraech mit Dieter Mittelsten Scheid.